I thought I actually learned something from watching American Idol last night, but it wasn’t the whole story. 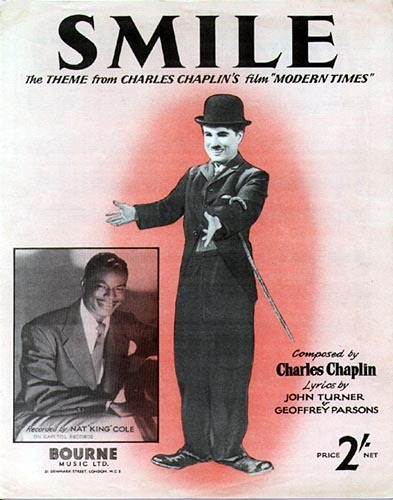 To be clear, the score was written by Chaplin in 1936 for his film Modern Times. He did not write the lyrics. The lyrics weren’t written until 1954 by John Turner & Geoffrey Parsons. Since then it has covered by many artists including Barbara Streisand, Tony Bennett, Michael Jackson, & even Robert Downey Jr.